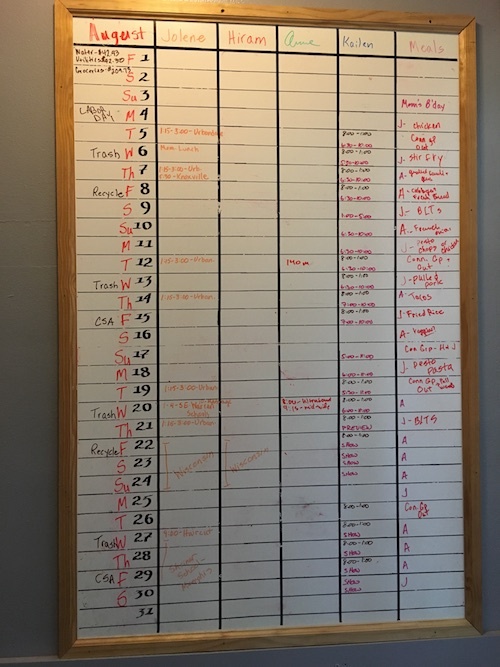 To the right is a first look at the white board calendar mentioned during this podcast. We use it to keep schedules straight, which is a big part of establishing healthy boundaries. Check back next week, when an entire podcast is devoted to explaining how we use it and how to make your own. Click here for the link to the Mom’s Special Calendar that was the springboard for our whiteboard scheduler.